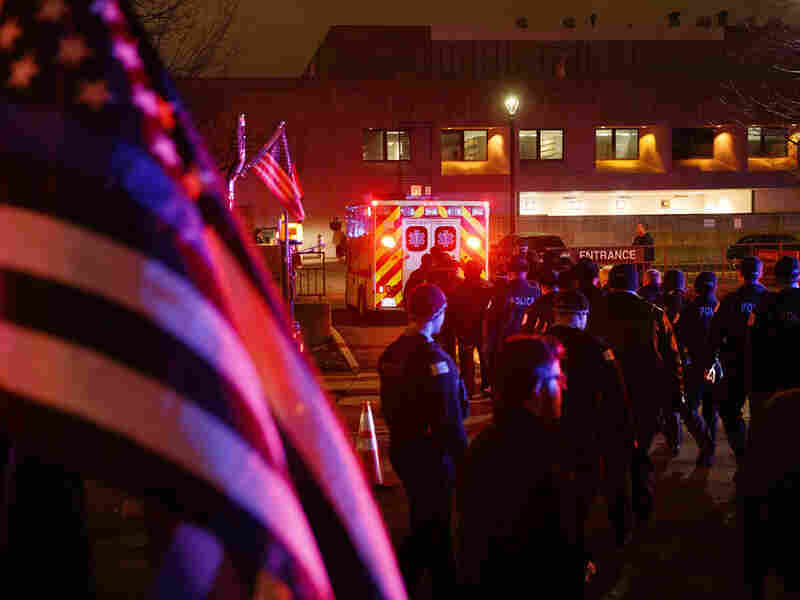 Opinion: Remembering A Victim of the Mercy Hospital Shooting A gunman shot and killed three people at Mercy Hospital & Medical Center in Chicago this past week. NPR's Scott Simon remembers and honors one of the victims, Tamara O'Neal. The shooting at Mercy Hospital & Medical Center took the lives of three people. One of them was a physician at the hospital. Tamara O'Neal grew up in La Porte, Indiana sang in her church choir and returned every weekend from Chicago, where she was an emergency room physician at a South Side hospital that cares for many who have been shot on the city's streets. The hospital is called Mercy. "She loved the action," her father, Tom O'Neal, told the Chicago Sun-Times. "She was in on a whole bunch of high-profile cases where people were shot and we'd see it on the news and she'd be treating the victims." She worked to save lives during the week, then drove back to Indiana to sing praises to God at the church in La Porte where her brother, LaShawn, is a pastor. She'd also scoop up her nieces and nephews and take them into the city to see shows and try new restaurants. She played the piano. She made fabulous crab Rangoon. Dr. Tamara O'Neal was in a pre-med class at Purdue University when she held a human brain in her hand. She felt what her family describes as awe to see such an intricate, powerful and fragile creation. That's when Tamara O'Neal decided she could put her sharp mind and skilled hands where they would help the most people. "She really stood out as someone very kindhearted," Trevonne Thompson, an associate professor at the University of Illinois's College of Medicine, where Tamara went to medical school, recalled this week. "She felt emergency care was where she had the most to offer to underserved communities." Dr. Breana Taylor, now at the University of Washington School of Medicine, said Tamara O'Neal was the force of gravity at the center of her and several other African-American medical students who coached, quizzed and supported each other through the exhausting and exacting demands of med school. "She organized us," Dr. Taylor told the Chicago Tribune, "and it was that bond that got us through." Dr. Tamara O'Neal was shot to death this week in front of Mercy Hospital & Medical Center. Police officer Samuel Jimenez also died, along with Dayna Less, who was training to become a pharmacist. Their killer, who also died, was once engaged to Tamara O'Neal. She had called off their engagement. He had a history of domestic violence. Dr. Tamara O'Neal was 38 years old. But she had already saved and uplifted many lives, relieved suffering and gave joy. The people she touched with her hands and heart will go on to help many more. One of the tragedies of her loss is that, as has happened so many times this year, it took someone's death to help us grasp how thankful we should be for their life.